Someone from Connecticut is taking home top honors in one of the nation’s biggest contests! I mean, it’s not everyday someone wins accolades from Google. The newest Google doodler is 15-year old Sarah Harrison, a 10th grader from Bunnell High School! 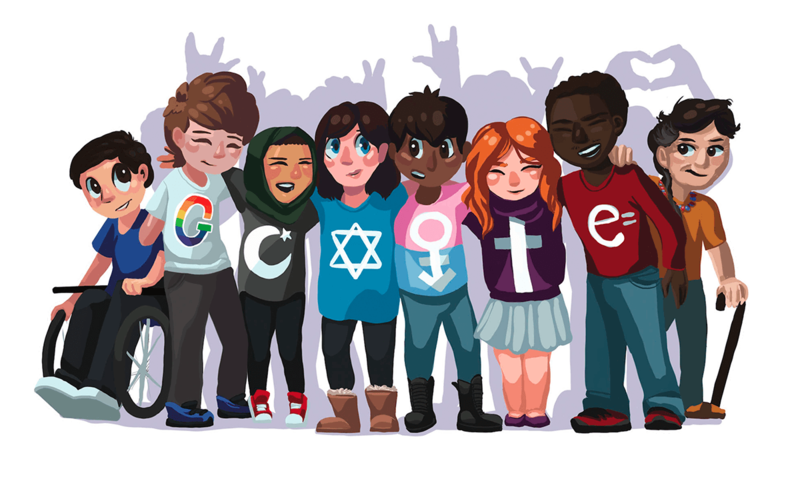 She earned the nationwide vote in their latest Doodle4Google competition. Oh, and the prizes are super sweet and goes beyond just having her artwork on display on Google’s front page. The sophomore is also going home with a $30,000 scholarship! Plus, Google is awarding Bunnell High a $50,000 technology grant, too! Last month, Google ambassadors surprised her at school saying that she won the state’s Doodle 4 Google competition. It was then the real battle began and her artwork was pitted against other finalists from all over the nation. No pressure, right? However, it appears she won in a landslide. Her piece is a play on the popular “Coexist” graffiti, but instead of using religious symbols, she represented a variety of people. Considering the current political and national climate, I think voters have been craving a message like Harrison’s. It certainly resonated with the nation, who cast hundreds of thousands of votes in her favor to give her top marks in her age group’s Doodle4Google competition. However, she received the most votes out of EVERY age group! Harrison’s work will now be displayed on Google for all the world to see! So go to Google right now to see it for yourself! Plus, she also earned a shout out from Sia! Congratulations, Sarah Harrison!